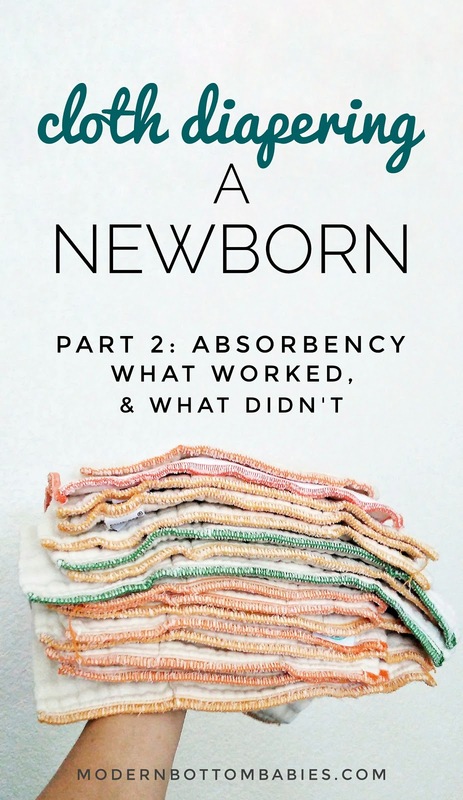 This is what ultimately ended up making or breaking my newborn cloth diapering success: the absorbency I used. 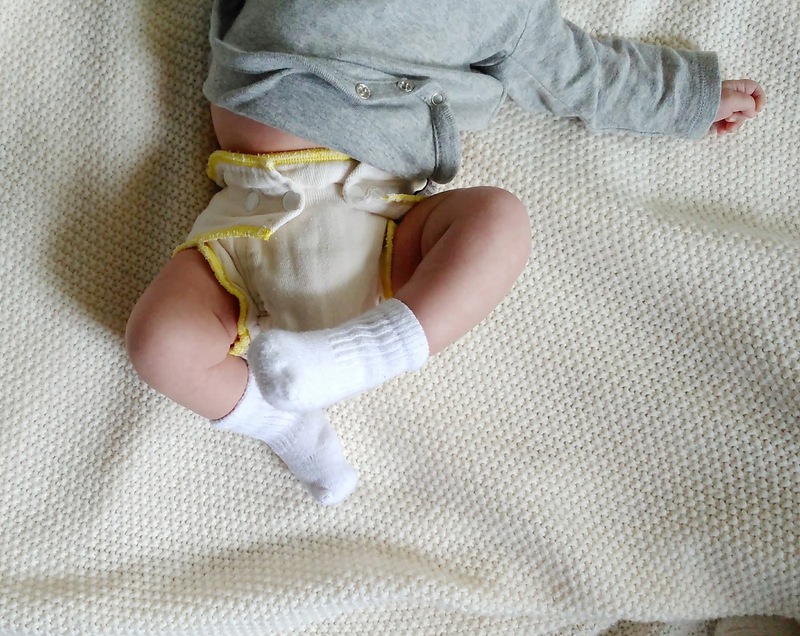 In Part 1 of my Newborn Cloth Diaper series, I covered the things you need to know in order to be successful from day one, and why I chose to cloth diaper using covers and prefolds for this stage. In part 2, I will go over all the different inserts I tried, and my gritty, honest reviews of each. This post may contain affiliate links. Purchases made through this links pay me a small commission for my referral, at no extra cost to you. With my last baby, I had attempted to use flour sack towels, since that is what I was using on my two-year old. They fit SO well, they seriously made the cutest and trimmest newborn flat. Unfortunately, they were just not absorbent enough for us at this stage, wrapped around baby. They quickly were soaking through diapers and clothes. 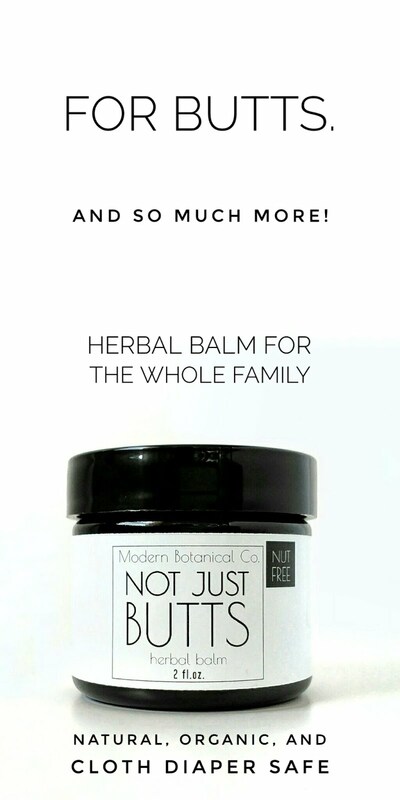 I know some families are able to successfully use them from birth, so it is worth a try if you're curious for yourself. This is by far the most affordable option, at less than $1 apiece at Walmart (ten/$7.88). You can read more about my love for flour sacks on older babies here. I have two different types of birdseye cotton flats. I have some (organic) one-size that I purchased from Green Mountain Diapers, and some mystery ones (I highly suspect are Osocozy) that I purchased second-hand. These are my current favorite, and full-time absorbency for my bigger boys. My initial intention was to use these flats right from birth. Unfortunately, I quickly found that though super absorbent for my little guy, they were also quite bulky. The jelly-rolling around the legs was especially bulky, and just seemed like it would be uncomfortable. I also found all the folding a drag, as someone who prefers quick folds. These flats retail for $12.95- $15.95 /six for GMD, and $12.26/six for Osocozy. Both have bleached/unbleached, and organic/conventional options, which vary the price. Both Imagine and Nicki's brand prefolds are the same, just tagged differently. These were the first newborn prefolds I purchased over three years ago for my first, based on blogger recommendations. They are really tiny, and thin, which makes for a trim pad-fold and fit, but they just do not provide enough absorbency. I see these recommended a lot, but I could not these to work for us. Sizing up to smalls may work better, but I didn't want to put up the money to try, because of how little faith I have in this prefold. I have heard the bamboo ones are better, but I have my own issues with bamboo, and generally avoid it. They are super budget-friendly, at $12.95 for six, with free shipping, which was probably a huge reason I went for them initially. These were sent to me by Geffen Baby to try out. They are cotton/hemp, which makes them super trim and absorbent. They are too tight of a weave for a Snappi to grab, which is a major bummer for me. I don't think I would ever have a full stash of these, but I do love them for times when I need the extra absorbency, like during the super long afternoon nap he takes. They are on the pricier side, at $8.91 apiece. Can be purchased from Diaper Junction, Nicki's, and Kelly's Closet. I needed to supplement my newborn prefolds after I discovered that the flats I intended to use were too bulky. I decided to try Luludew newborn prefolds. They run a cloth diaper service with these, so I figured they had to be pretty good. I tried them, I really did, but these also were just not absorbent enough. They're also more narrow than other newborn prefolds, which makes pinning them around baby more of a challenge. I'm not a fan of prefolds that are only sold in packs of 12 for this very reason- I dished out almost $30 for a pack that didn't work out for us. These newborn prefolds are my HANDS-DOWN WINNER. I promise you, if you skip over all the other newborn options, and go straight to these, you will NOT be disappointed. If I could do my whole newborn stash over- I would just order 2 dozen of these and call it a day. They're thicker than all the other prefolds, so they absorb way more. It also protect the covers from all those million little baby poops and sharts, because it won't seep right through to the cover, like with the other, more thin, prefolds. They wrap around nicely, which helps eliminate bulk. I also used Buttons size 2 cotton prefolds after a couple weeks. They were kind of bulky still at this point, and needed to be folded down in front, but they were perfect otherwise. I'm curious if the size 1 would have been a winner for me, too. If they are the same thickness as the ones I own, I definitely think they would be. I'm hoping to get my hands on a few some day, but I couldn't find them in stock anywhere the night I was looking. Osocozy is another brand I would like to try, because I've heard it recommended a lot. Though a lot of people do recommend diapers I don't have success with. The fact that they have these "maxing out" at 10lbs makes me especially hesitant. Okay, so maybe this should be singular, because I only used one type of fitted, and that was the Cloth-eez size small snap fitted. Fitteds are crazy absorbent, but they are also bulky, and expensive, so this was my nighttime go-to, with a Geffen Baby quick absorber. This combo gets us through the night without leaks. I didn't buy these until he was a couple weeks old, so I just went with the size small instead of the newborn. I thought my first set of newborn prefolds were too small for pinning three years ago, but it turns out that I just didn't really know how to put them on. This is a SUPER quick, easy, and fool-proof way to put a prefold on. You will be able to use your prefolds far past when you'd think they will no longer wrap around. 1. 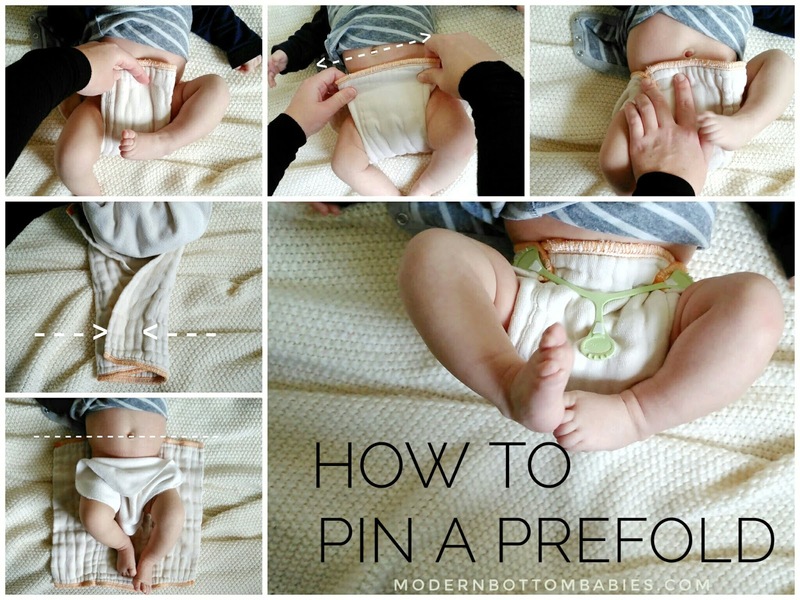 Slide the prefold under baby, lining the top up with their belly button. 2. Grab the two sides of the prefolds in the front and tri-fold them together. This should make a nice little pocket right under their bottom, which will help contain some poo. 3. Fold the front up to their waist. If the prefold is the perfect size, you will be able to pull the wings around and pin it. If the prefold is too small for the wings to overlap the middle, fan the middle section apart until they can. If the prefold is too long, fold the top down before pulling the wings around. 4. Snappi or pin that baby up! **This is not a diaper you see recommended on cloth diaper blogs, which I think is majorly due to the fact that we can't be compensated in any way for it. 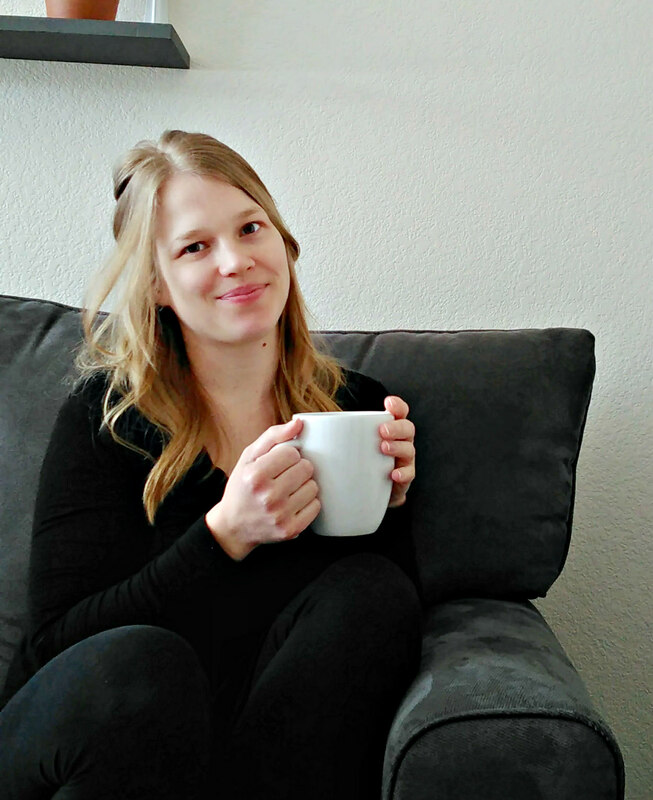 I don't blame bloggers- because you can't work for free, or I guess, PAY to work. Since Green Mountain Diapers doesn't have any kind of affiliate, or even reward referral program- you need to buy these products outright yourself. and then, you can't be compensated for the time of testing and reviewing them anyway. It's just difficult, because bloggers don't have access to these products in the way they do others. I don't blame GMD, either, for not having any kind of program, because I know it is not feasible to every business. Though I really hope they do some time in the future! They are an absolutely amazing diaper company. Their Cloth-eez brand is probably the highest quality of any diaper I have ever used, and they are an amazing resource of information. I highly, highly recommend them, and am thankful that they were recommended to me! 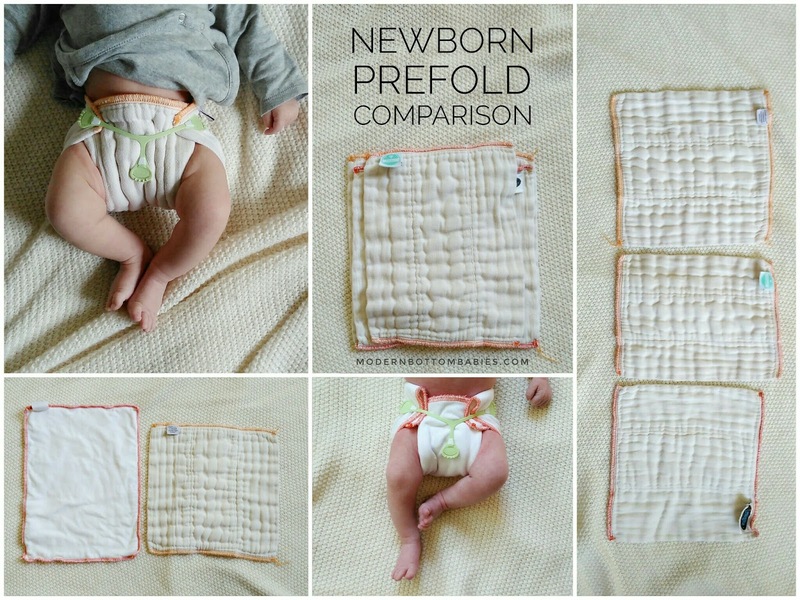 The GMD/Cloth-Eez prefolds are the #1 most recommended newborn prefold I see everywhere! I'm surprised to hear that you don't see the same. I have 26 of them because of all those recommendations. I had 2 with my first child and loved them, so I bought 2 dozen second hand for my second child. Now, with my third,I have added a dozen newborn Diaper Rite prefolds and I love those too.